W11 Westbourne Professional Dry & Steam Carpet Cleaning | RDA Cleaning & Maintenance Ltd. Looking for an affordable professional carpet cleaning company in Westbourne W11? RDA Cleaning & Maintenance Ltd. now offers you high quality cleaning that can guarantee great results - full stain removal and disinfection. Our top-class carpet cleaning service is available also during weekends and bank holidays at no extra cost. Enjoy your home or office carpet clean & fresh today with a phone call to 020 3404 1646. Our customer support team will help you set up an appointment at a convenient time. We do key pick-ups and safe drop offs. Hire the best carpet cleaners Westbourne W11 today! 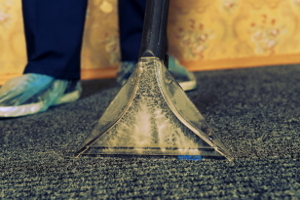 Our professional carpet cleaners in Westbourne W11 can work with a wide range of carpet fibers and materials, both natural and synthetic and even blends. We can safely clean: wool, sisal, cotton, silk, Kashmir, Persian, Indian and any synthetic type out there. Hire Us For An Expert Carpet Cleaning In Westbourne W11 Now ! Reserve our efficient carpet cleaning service in Westbourne W11 and have your carpet fully cleaned today. Call 020 3404 1646 or get a free online quote. No deposit required. Also, if you book another service simultaneously you can get a discount of up to 20%!